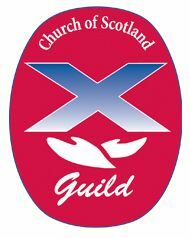 The Guild Meet every Monday evening from 7:30pm to 9:00pm from October until March. The Guild exists to promote Christian Fellowship among its members, to reach out to the community at large and to build friendships with others. It is open to all men and women whether members of the church or not. We offer a varied programme of speakers to inform and entertain. We hope that you can come along and join us; you will be made most welcome. We meet on Tuesday mornings from 10am until 11am. Come along for a cup of tea or coffee with a toasted teacake, warm pancake or scone. Everyone is welcome, so why not bring along your friends or neighbours? The cost is only £1. We meet Fridays at 12 noon. For a cost of only £2, you will receive a 2 course meal and some tea. Everyone is welcome. Walks take place on the first Saturday of each month. We leave from the church building at 9:30am. The church supports Queen’s Park Football Club’s Still Game programme. This is for those over 55 years old, and is normally held at 1pm in Queen’s Park Football Club’s pavilion. Activities include age-appropriate keep fit, talks, presentations, and outings, with refreshments served. Anyone over 55 years old is welcome to come and meet new friends and enjoy new activities!